Dr. Selem offers laser eye surgery as an efficient cataract treatment. Laser cataract surgery uses laser-assisted technology to help eye surgeons gently remove cataracts with significantly less ultrasound energy than traditional cataract surgery. Using less ultrasound energy to break down and remove the cataract is important because it reduces the possibility of disturbing your eye’s healthy tissue during laser cataract surgery and promotes proper healing. Cataracts are the main cause of visual impairment. Cataracts occur when the natural lens of your eyes become cloudy and less clear. In the majority of cases, cataracts occur in aging patients, but certain factors like genetics, medications, injury, and diabetes can also lead to the development of cataracts. Your lens (situated behind the iris) acts similar to a camera lens and focuses the light that you see onto your retina. The retina is at the back of your eye and is responsible for sending impulses to your brain that then creates a visual representation of what you are seeing. With the clouding of your lens from cataracts, your eyes can no longer properly pass light and images through the retina, which results in dull, unclear vision. While the development of cataracts differs for each patient, a cataract develops from the natural degradation of your lens as you age. In many cases, the lens loses its natural flexibility when a patient reaches the age of 40. This loss of flexibility reduces your ability to properly shift your vision from near, middle, to far distance. Most commonly, cataracts tend to gradually form as you age, slowly progressing over months and years before it dramatically affects your vision. While less common, traumatic cataracts result in rapid clouding of the eye lens and quickly occurring vision impairment. 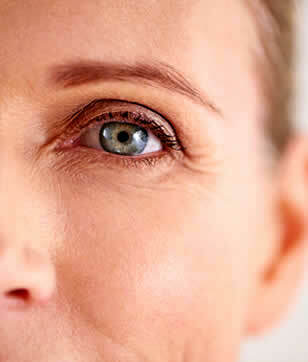 While there may be a cataract present, it does not necessarily mean that you require laser cataract surgery. In some cases, cataracts may be mild or not affect your daily activities, so laser cataract surgery may not be necessary unless you display moderate-to-severe vision impairment. If you have a case of mild cataracts or little to no vision impairment, Dr. Selem can monitor your case of cataracts with routine eye exams to ensure your eyes remain healthy. If Dr. Selem notices the progression of cataracts during a routine eye exam, he can suggest a cataract treatment such as laser cataract surgery in Miami. Cataract laser surgery is one of the safest ways to treat cataracts and restore sharp, clear vision. What can I expect during laser cataract surgery in Miami? To begin your laser cataract surgery, your eyes may be treated with eye drops and an anesthetic to reduce any discomfort. During laser-assisted cataract surgery, Dr. Selem is able to make small, precise incisions using laser technology to perform your cataract surgery. Traditionally, these incisions would be made using a hand-held instrument. While Dr. Selem is a highly skilled and qualified cataract surgeon, the use of laser cataract surgery can make incisions more exact and improve laser cataract surgery results. After the incisions have been made, your clouded lens will be removed. Laser cataract surgery will soften the lens and break up the cataract, which means laser cataract surgery can remove your clouded lens as gently as possible. A replacement lens can be precisely placed using laser technology. The exact placement of your new lens is very important for the best laser eye surgery results. What can I expect after laser cataract surgery? After laser-assisted cataract surgery, you can return home the same day. The following day, Dr. Selem will see you for an evaluation of your eyes and will ensure you are healing properly after laser cataract surgery. Eye drops will be prescribed to you to reduce any chance of infection and to promote proper healing. Dr. Selem may suggest that you wear a clear protective shield over your eyes for the first few days, especially while you sleep. This protective eyewear is used to reduce any possibility of something rubbing against your healing eyes. At Miami Eye Center, Dr. Joseph Selem will meet with you during your private consultation to assess your individual situation. Dr. Selem can help you decide if laser cataract surgery in Miami is right for you. See the beauty in yourself and the world around you in crisp, clear detail today! Request an appointment online or call Dr. Joseph Selem and the staff at Miami Eye Center at 305-444-0221 to schedule your private consultation.